Cats love to scratch. It strengthens their backs, sharpens their claws, and marks their property – all positive benefits for cats. But, as their parents, we often wonder how to keep cats from scratching furniture. The question is not Will my cat scratch? Instead, the question is What will my cat scratch? Inappropriate scratching is one of the biggest challenges cat parents face. 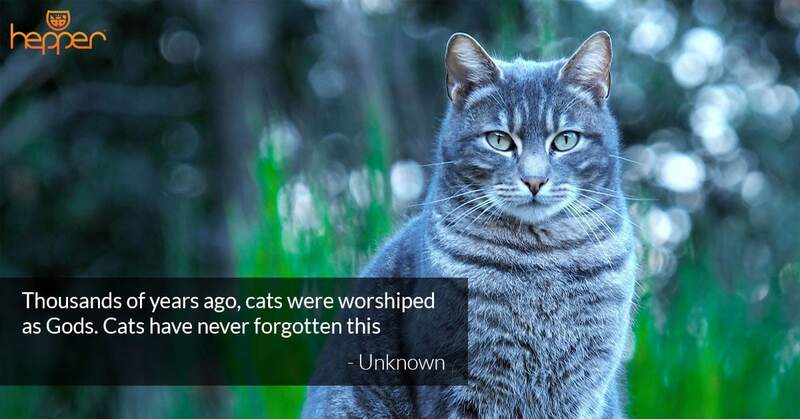 It’s a major reason that 3.4 million cats end up in American animal shelters every year. It doesn’t have to be that way, though. Let’s talk about why cats scratch, the reasons declawing is not a good option, and how to stop cats from scratching furniture. 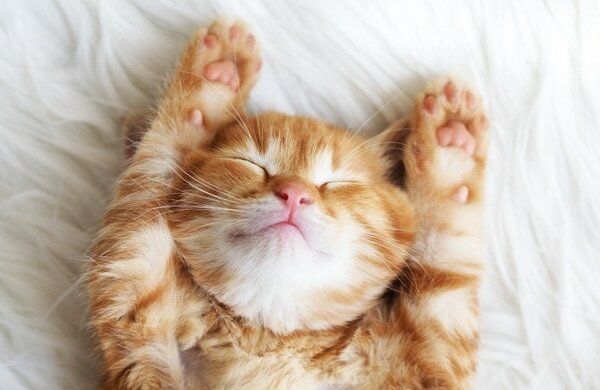 Scratching means stretching, and cats like to stretch for the same reason humans do. It feels great! Stretching out full length and then coming down with a ripping good scratch feels all that much better. 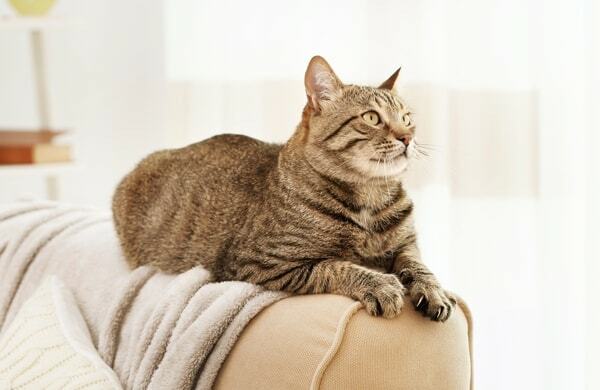 Not only does it exercise the back, but scratching also strengthens a cat’s front legs. Plus, scratching removes dead nail sheaths that could otherwise curl under and become embedded in a paw pad. Scratching acts as a stress reliever, too. In fact, excessive scratching may be an anxiety-induced behavior. And since cats have scent glands in their paws, scratching also lets them mark their territory with their own scent. Putting your mark on your stuff is always a good feeling. Because cats love to scratch so much, you can’t stop the behavior altogether. You can, however, help control what they scratch and where. An estimated one in four cats gets declawed in the United States. Declawing is a serious surgical procedure in which the vet amputates the first joint of each toe. 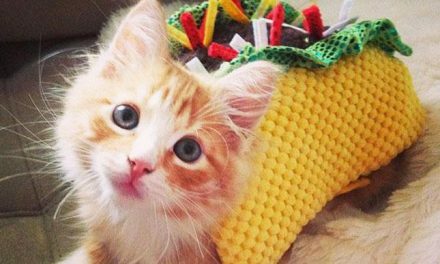 The surgery may cause severe pain to the cat and is so controversial that 22 countries have outlawed it. Most cat behaviorists do not recommend declawing. It can lead to arthritis in the hips and back due to its effect on the cat’s gait, and it may cause behavioral problems such as inappropriate elimination. What about a cat that is already declawed? Maybe you adopted a shelter cat who underwent a declawing operation in a previous home, or you may have chosen to have your cat declawed some time ago. In these cases, your cat will still have the itch to scratch, so to speak. You can try to help by buying her a scratching post made of carpet instead of sisal. Her strong cat toes can grip the fabric easier. The post will allow him to stretch his back, relieve stress, and leave his scent marks on his property. Also, be sure to use a soft (not sandy) litter, and check your cat’s paws for sores. To be clear: we do not support declawing and urge all pet parents to never do this! It’s easier to prevent your new kitten from scratching your household goods than it is to retrain a cat who’s already enjoying the arm of your sofa. 1. Trim your cat’s nails. This may not be as challenging as it sounds. When your cat is relaxed and lying near you, gently pick up her paw. Squeeze one toe until the claw pushes out. 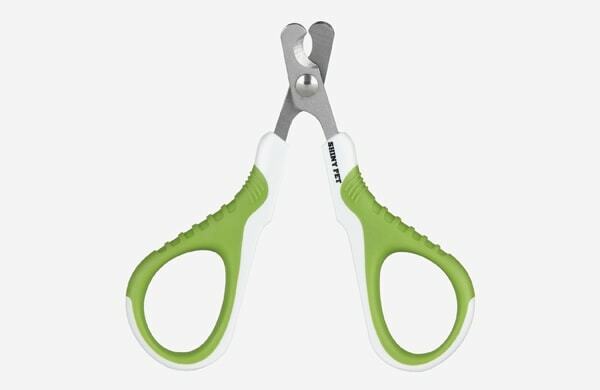 Snip off the tip of the claw only! You can trim all her toenails one nail at a time over a week. Eventually, she should realize that nail trimmers are nothing to be afraid of. If you have concerns about trimming your cat’s nails alone, you can ask your vet to do it. 2. Make your couch undesirable for scratching. 3. Buy a scratching post. Every cat needs one. In fact, some cats need several. 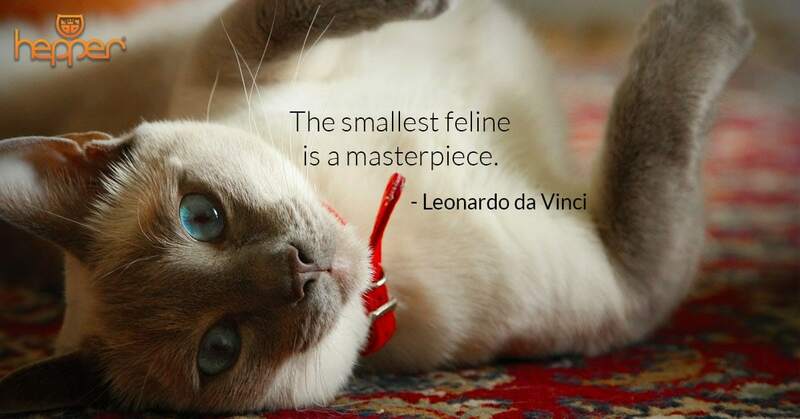 Try tall ones, long ones, and ones made of different fibers until you discover a post your cat likes. Put it in a high-traffic area so your cat will see it when she gets the urge to scratch. Many cat parents put their posts beside the couch or the bed, places cats like to go since they carry the scent of their humans. 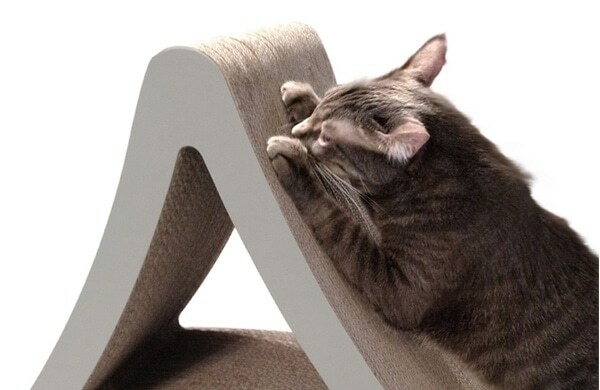 Will a Scratching Post Really Stop My Cat From Scratching the Furniture? Some people tell us they’ve tried a scratching post and it didn’t work. That’s probably because they haven’t found the right post yet. 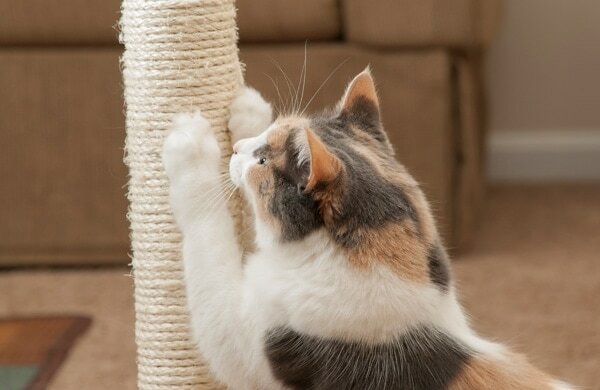 What makes a good scratching post? Look for a wide base. This gives the post stability, and a cat won’t tolerate a post that wobbles. If you’ve already experimented with a sisal post and your cat turned away, try a carpet, cardboard or wood post. You can even offer both a horizontal and a tall vertical post to see which one your cat prefers. Sometimes, sprinkling a little catnip around the post or showing an interest in it yourself is enough to get the cat started using it. Love a weekend project? You can build a scratching post yourself. Plans range from a simple cardboard- and-glue-gun option to ones that require wood and a drill. 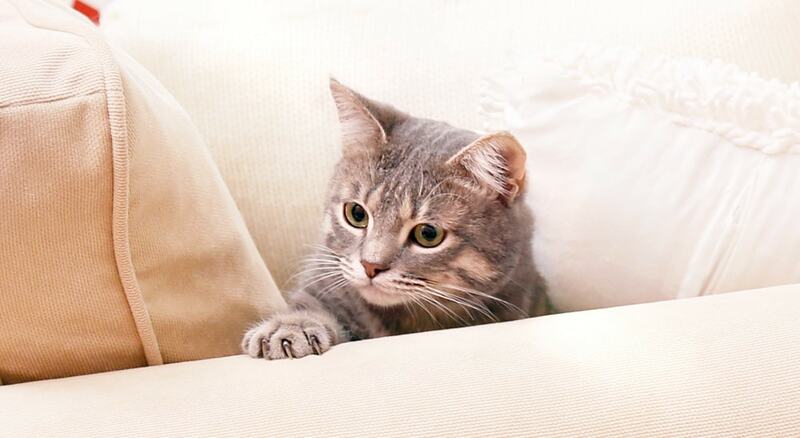 Learning how to keep cats from scratching furniture is key to a healthy cat and a peaceful cat-loving household. 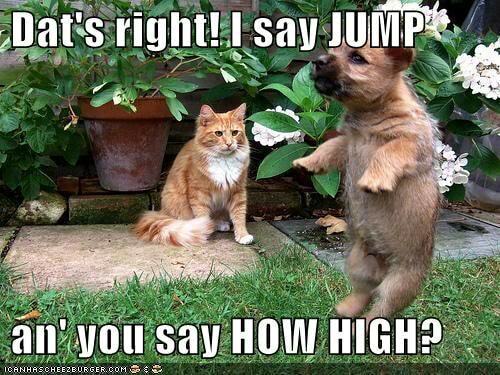 See what a little attention, a scratching post, and a pair of nail clippers can do for you and your pet. We’ve bought a dozen different scratchers to no avail. She likes our corner door facings. Some of them have trenches as deep as an inch!! !